AMD's recent chips haven't rocked Intel's PC market dominance, but new chips based on the company's Zen architecture aim to change that next year. On Wednesday it shared initial details about the new FX and seventh-generation A-series chips, which are the brainchild of Jim Keller, a leading mobile chip designer at Apple until AMD hired him in 2012. The new AMD chips will battle Intel's highly anticipated Skylake line, which is designed to bring new wireless charging and data transfer features to laptops. 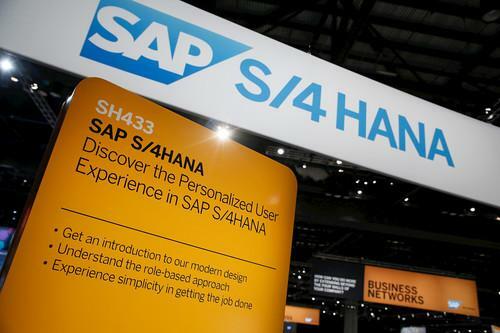 Building on the launch of the fourth generation of its enterprise software suite earlier this year, SAP unveiled the cloud version of S/4Hana at its Sapphire conference on Wednesday. SAP expects most companies to opt for hybrid scenarios combining the on-premises version of the in-memory database platform with the new cloud version. Europe's e-commerce market will be subject to a full-fledged antitrust probe, as part of the European Commission's push to tear down walls between the European Union's 28 national online markets. The competition inquiry, announced as part of a broad plan unveiled on Wednesday, will look for barriers to online cross-border trade, and it's likely that some U.S. players such as Amazon will come under scrutiny. Hackers will put Internet-connected embedded devices to the test at the DefCon 23 security conference in August. "Show us how secure (or insecure) IP-enabled embedded systems are," the organizers say. "Routers, network storage systems, cameras, HVAC systems, refrigerators, medical devices, smart cars, smart home technology, and TVs -- if it is IP-enabled, we're interested." To qualify for a prize, participants will have to find previously unknown -- zero-day -- vulnerabilities in popular off-the-shelf Internet-enabled devices and demonstrate working exploits for them. A new bill in Congress would require law enforcement agencies to get court-ordered warrants before they can access electronic communications collected in the U.S. by the National Security Agency. The End Warrantless Surveillance of Americans Act would close the surveillance loophole that allows the FBI and other agencies to search U.S. emails, texts and other data swept up in NSA surveillance of overseas communications. The bill would also forbid government agencies from mandating or asking tech companies to build back doors into their devices or software that allow surveillance agencies access to communications. Where will Microsoft find 1 billion devices to run Windows 10? To meet its goal of putting Windows 10 on a billion devices within three years, which OS group chief Terry Myerson staked out at Build last week, Microsoft will have to move every personal computer now running Windows 7 onto the new OS, then find even more to migrate, Computerworld has calculated. The Upload suggests that Myerson's prediction is indeed a sign of big plans -- but not for the PC market, or even the mobile device market. Microsoft executives likely see the Internet of Things as a very nice arena in which to become a dominant platform, and if it succeeds it may easily surpass one billion devices running its new OS. The Federal Aviation Administration has teamed with three companies to test drones in urban areas and in applications that take them beyond the line of sight of the pilot. Those uses are outside new rules proposed by the FAA in March, but the tests with news network CNN, drone maker PrecisionHawk and BNSF Railroad indicate that the regulator doesn't want to be seen as holding back this expanding market. A second Uber office in China, this one in Chengdu, has been visited by the police as part of an investigation into the ride-hailing company. Uber's office in the Chinese city of Guangzhou was raided last week. The company's model of helping private car owners connect with customers in need of a ride was banned in the country earlier this year, but it has managed to sidestep the ban by employing licensed car rental firms to offer the service. NASA is testing a prototype drone that can take off like a helicopter and fly like a plane. Are the plans for a 3D printable gun posted online an illegal weapons export, or free speech? Wired reports on a two-year-old controversy that just heated up with a lawsuit charging the State Department with violating a man's First Amendment rights.